Nicholas Hytner was born in Didsbury, a smart suburb of Manchester, on 7 May 1956, to parents of East European Jewish extraction. After attending Manchester Grammar school, where he played Toad in Toad of Toad Hall and thought of becoming an actor, he read English at Cambridge University. Whilst still a student, he co-scripted and performed in a televised production of the 1977 Cambridge Footlights Revue and directed Brecht and Weill 's Rise and Fall of the City of Mahagonny. On leaving Cambridge he became assistant to Colin Graham at English National Opera . Distinguished work followed, at the Royal Exchange in Manchester , the Royal Shakespeare Company and the Royal National Theatre , as well as more opera work with Kent Opera and the ENO . Hytner 's witty production of Handel's Xerxes for ENO in 1985 was a huge popular success. He went on to direct a number of stage musicals, including Miss Saigon (which made him rich) and Carousel. In 1986 his Kent Opera production of King Priam was televised. In 1992 Hytner directed Alan Bennett 's play The Madness of George III at the National Theatre , and in 1994 he was invited by Hollywood to direct an Anglo-American film version entitled The Madness of King George . Hytner insisted that Nigel Hawthorne , rather than a more famous cinema name, was engaged to repeat his acclaimed performance as the King. Hytner 's visual flair, technical daring and experience of working with large forces enabled him to make the transition to film-making with comparative ease, claiming in a 1997 interview that with '"a good script, actors and technicians, Mickey Mouse could direct a movie'." (Daily Telegraph, 24 February 1997). Bennett 's play was opened up to embrace suitably royal-looking locations; and Hytner made good use of camera movement to suggest the King's mental instability, and close-ups to add extra poignancy to such scenes as the moment when the King 'recovers' his wits. The Madness of King George was a critical and commercial success. Hytner 's next film, The Crucible (US, 1996), an adaptation by Arthur Miller of his play about the Salem witch trials, was well- received by some critics but did poorly at the box-office. 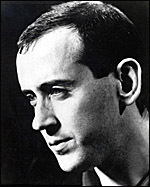 Two more Hollywood films followed, but Hytner maintained his involvement with the English stage. He was thwarted in his desire to film the musical Chicago and in April 2003 succeeded Trevor Nunn as Artistic Director of the National Theatre . Gritten, David, 'Hytner goes to Hollywood', Daily Telegraph, 22 March 1995, p.2.